StudioCanal celebrates the company’s biggest opening weekend at the Irish box office with Paddington 2, fully financed by the studio in partnership with Heyday Films. Paddington 2 opened across 96 sites, the company’s widest ever release in Ireland, boasting a screen average of over €9,000 and a weekend total of €830,000. The opening gross is an incredible 159% increase from Paddington’s opening box office in 2014. The politest bear from Peru is number 1 at the Irish box office, an incredible result for StudioCanal’s most ambitious production to date. The film accounted for 43% of this weekend’s gross box office. 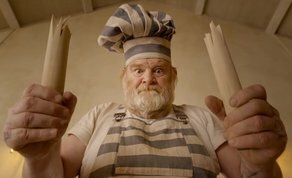 Paddington 2 is based on the best-selling and internationally adored series of children’s stories by Michael Bond and is once again directed by BAFTA nominee Paul King, from a script by King and Simon Farnaby. The film is produced by multi award-winning David Heyman. Paddington 2 opens in StudioCanal territories - Germany November 23, France December 6 and Australia and New Zealand on December 26. Element Distribution are responsible of distribution on behalf of StudioCanal in Ireland.